After hearing ODB and Dip, I couldnt wait to get my hands on this one. Lets get into it. That drum loop straight from the George Clinton funk train. Its groovy and energetic. Want the old Danny Brown back? Regular voice, he’s just ripping it line for line. Its a quick track that has me replaying it constantly. 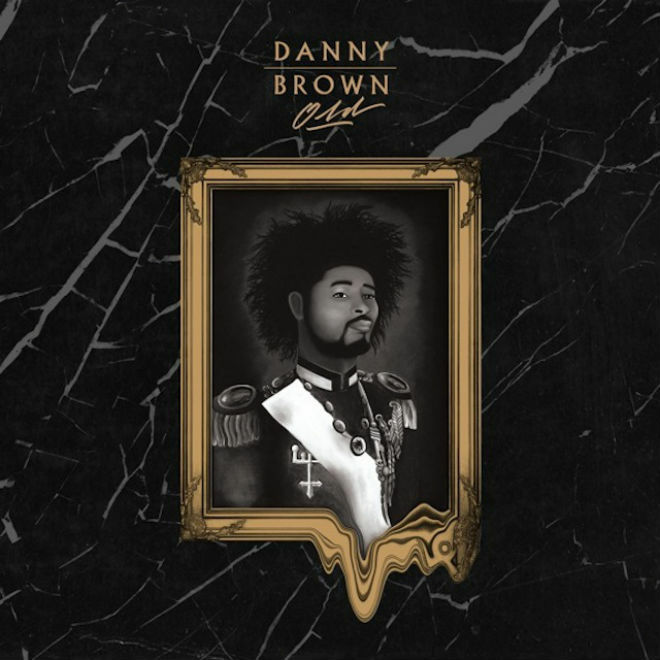 This is the Danny Brown we like! Revolving around his mother braiding people’s hair for $25, this one paints a picture of struggle of just trying to make ends meet. This type of release is something I think he does really well. you can clearly relate to the thoughts and worries of him and his family. The beat is on some solar system/slow synth groove but it works. its a different feel from the first two tracks. Nice track. This has to be a middle eastern sample, that flute will make a cobra raise and shake its hips. Who knew a trip to go get some bread could be so interesting. This has me thinking back to an awesome Xzibit video I use to love where he was walking to the store and all this random/crazy stuff happened during the trip. In the end, Danny got jumped all because they wanted that bread. Overall, good track with an ok beat. When you grow up in such an environment like Detroit, your decisions will differ from the average kid. Danny Brown goes through this ‘cycle in the city of the Chrysler’ of these teenagers. Interesting track and angle to tell a story from. Production is nice, this one got a few replays from me. This one packs a rollercoaster of energy but the song isnt about anything but getting right with females. When you compare it to the previous tracks, its a speed bump and skippable for me on most days. Its just ok.
Production straight from the cathedral with eerie voices. When you hear these lyrics you will understand the naming to this track. Danny Brown just goes down the list of crazy stuff he’s seen in his life and how that has him in a crazy point in his life. Pretty interesting track. One of my favorites. Personal tracks about his struggles with drugs, wasting money and his need to clean up and dont mess up his situations. The production got a real bounce and the melody sound like some Computer Love Zapp voices. Truly a hypnotizing tune. The most repeated track for me. That beat remind me of Tom chasing Jerry, the conga drums are spinning. Much energy here. Is anybody nervous!?!!? At this point, the album has been pretty consistent and i am liking what im hearing obviously. Side B goes back to the high energy that we are used to these days. totally different from the last track but it will grow on you from where he went home gave his gma 300 for groceries to wearing a rubber when getting busy with a trick. haha. The beat is nice and the track has grown on me kinda. I like Danny’s verses. Imagine being at the club, no lights, disco balls, neon lights and this track comes on, its sure to go crazy. Danny Brown made the right track and got the right beat (str8 from 1986). Even though the chorus is nothing great, no1 will care. Nice track. Ahh, this takes me back to Roy Jones ‘I two piece dudes for a living and I aint talking bout chicken’ tell em Roy! Inside the club, this high energy jam will work. It’s not a great song but not terrible either, just ok. This one is catchy due to the double snares every few bars. Another one for the club but I can’t help but tell strangers ‘don’t stop til you break it break it!’ Go go go go go go. Just think, I almost skipped over this track. Gentleman’s Club jam but mostly a skippable track. Not much else to say. Think of P-Poppin by Luda. Even Soul Brother #2 couldn’t save this track. He and Danny Brown both dropped subpar verses over a forgettable beat with sounds straight from an Atari 2600. It’s a different feel for sure but not my cup of green tea, maybe yours. The chorus gets stale pretty fast, verses are solid but nothing much to point out. This sounds like it should have been on Side A because it’s more personal and reflective. Great track to end out the album with. Conclusion: It’s easy to recognize the difference between side A and B on this album. For me, Side A sound much more thought out and serious. Side B is pretty much party tracks. With this difference, you can see the potential of Danny Brown. He could easily become a great artist if he wanted to. He’s easily one of my favorite artists to listen to. The shining part is that you have 2 sides to listen and choose from, some will like one side more than the other but some might like them all. Clearly, I liked side A more and only some on side B but I appreciate having the option. Too bad ODB didn’t make the album, loved that track. The production was solid throughout but you start to wonder where Black Milk was on some tracks. Old is a good effort with a showing of growth as an artist and as a man.